Each year, many individuals elect to go camping in Spain. There is a seemingly endless succession of beautiful and glorious beaches here and is what mainly draws campers at first. However, those that elect to go camping in Europe are attracted to more than just the beaches. The land consists of a culture that is rich and diversified, a wide array of architectural highlights and is backed by a colorful history. Pristine beaches, hidden coves, magnificent mountain villages and busy fishing ports are just a few of the exciting experiences that await those that choose to go camping in Spain. In researching this exotic location, you will discover that it holds the record on the amount of sunshine experienced annually, has a multitude of beautiful beaches and is lined with towns that are vibrant and exciting. In addition to this, there are quiet, secluded locations and sleepy villages that are extremely laid back for those that elect to experience a quiet, comfortable camping trip to Spain. By choosing to go camping in this European country, you will discover and experience a landscape that is highly diverse, a rich culture consisting of ancient and modern characteristics and numerous traditions that are historically derived, artistic and zestful. In part, all of these characteristics of the country make up the reasons why so many people choose to go camping in Spain. Spain has well over one thousand different campsites that you may enjoy. When camping in Spain, you may choose to camp in a tent, caravan, or even a motorhome. The choice is yours! There are numerous camping areas in Spain that will permit you to rent out a mobile home, a cabin, a chalet and even a bungalow. When it comes to options, you will find that you have many. It is important to ensure that you have an idea of where you would like to camp and what type of accommodations that you will be requiring prior to your trip. You can expect that most of the camping areas are booked well in advance. Be certain to set your reservations ahead of time to ensure that there is space available for you and those that you elect to travel with in Europe. By knowing what type of accommodations that you may choose from and which campsite you prefer, you will be well ahead of the game and will be able to spend more time enjoying Spain once you arrive at your destination. There are many benefits to camping in Spain. Not only will you be introduced to a wide variety of individuals, but you will also experience the culture of the country – firsthand. In addition to this, you will have the opportunity to experience the fine cuisine and the wonderful entertainment offered by the locals. It does not matter if you are interested in hiding away in the beautiful mountains capped with snow, or the pristine, warm beaches under the glow of the warm sunshine. Regardless of your pleasure, you will uncover a delightful destination by choosing to go camping in Spain. If you have a passion and appreciation for history, you are sure to find many exciting activities to engage in while camping in this European country. You may elect to explore the ruins of the Romans or the remains of the Celtics. You will discover many beautiful Moorish castles and amazing architectural feats. If you enjoy the modern life, you are sure to enjoy the famous art galleries, theatrical performances, clubs and shopping venues throughout the country. 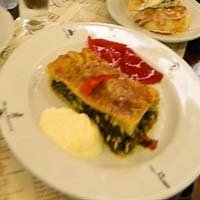 For those that have an interest in food, you are sure to experience the absolute finest cuisine while camping in Spain. 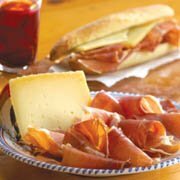 You may be able to experience famous dishes like paella, soups with chilled gazpacho and even carefully crafted cheeses that exhibit the best of authentic dining in Spain. For those that enjoy adult beverages, you may choose from Spanish wines, cider and a wide variety of locally created beers. Spain is a country that receives a large number of travelers each and every single year. Many find the landscapes absolutely stunning, while others prefer the hustle and bustle of the city. Then, there are those that prefer to visit because of the rich history and the highly diverse culture. Regardless of your reasoning for visiting Spain, you are sure to enjoy the beauty and appeal that it has to offer. However, it is most likely that you will experience this beauty and appeal at its height by electing to go camping in the country. 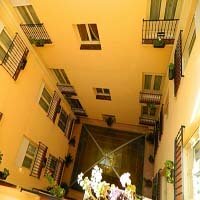 If you are interested in setting up your reservations, you should consider visiting Costa Brava, Costa Dorada, Costa Blanca, Genalguacil, Madrid or one of the many other spectacular regions in the country. Campist Carlos III - just south of Cordoba Campsite Carlos III is very relaxing with its pool and many amenities wich include a pool, a laundrymat, and shopping. 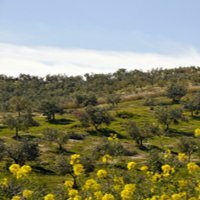 Known for its olive groves Jaen produces the majority of Spain’s olive oil. Mostly rural this region is great for those realling wanting to get out and see the country side. Campsite Ayozar – has all the basic amenities needed for a good campsite with warm showeres, a place to get a cup of coffee and dog friendly. Campsite Ayozar Ctra de Albanchez, Km 2 23400 – Albanchezd Mágina Jaen,Spain GPS: 37.647318 / -3.449471 Campsite Chopera de Coto Ríos – with its pool, hiking trails, and fishing you will not lack for things to do at this campsite. Camping Doñana Playa is located in the Doñana National Park. Enjoy white sand beaches, nature, wild life all within this camping site. GPS: 37.09917 -6.72611 Camping La Aldea – another camping area in the Doñana National Park. This park offers bungalows to stay in while you enjoy all the nature the national park has to offer. GPS: 37.1427777 -6.4916666 Camping Rocio Playa – camp on the beach at this wonderful beach get away. Located in Matalascaña this beach town is perfect for getting away from the other known tourist towns in southern Spain. Camping La Garrofa – located just outside the town of Almería this beach camp site is a little slice of heaven. Camping La Garrofa has enough modern conveniences to make your stay enjoyable and raw beauty to keep you coming back. GPS: 36.8663 -2.44772 Cabo de Gata – located in the Cabo de Gata-Níjar National Park. This is full service campsite with all the amenities needed to make your stay enjoyable including a pool, restaurant, and a place to do your grocerty shopping. Ctra. Cabo de Gata Cabo de Gata Almeria GPS [lat,long]: 36.808159,-2.232159 Tau Camping and Abergue - for when you want to get away without getting to far out of touch this campsite offers wi-fi through the campsite. Modern bathhouses, restaurant, bbq area, play area, and bike rentals. GPS: 36.76757 -2.10532 Camping Puente Colgante – located between the Sierra Nevada and the Serranía mountains this campsite is around 1800 feet above sea level. Camping Puent Colgante really gets one out of the urban areas puts them in rural mountain area. This campsite offers a pool, restaurant, barbecue area, good hiking and fantastic views. Campsite Villsom is located in the suburb of Dos Hermanos this campsite allows you the freedom of camping with a short train ride to the city of Seville. With all the modern conveniences expected today this campsite is ideal for modern campers looking to stay close to Seville. Ctra NIV, km 554,8 41700 Sevilla/Dos Hermanas Spain +34 95-4720828 El Martinete – located north of the city of seville this campsite offers fishing, hiking, mountainering with the conviences of a restaurante, supermarket, and clean bath houses. San Nicolas del Puerto, San Nicolás del Puerto Latitude: 37º 59' 38.49" N Longitude: 5º 40' 15.19" W Camping Club de camp – just seven kilometers outside of Seville this safe campsite lets you enjoy the city while still getting the camping experience. Camping Pueblo Blanco – This country campsite is set in a traditional Spanish farmhouse. It has a pool, showers, a restaurant, and lots of charm. -5º13’ 20.4162’’ Tajo del Agua – located nineteen kilometers outside the town of Arcos de la Frontera this campsite offers multiple outdoor activities from fishing, to horseback riding, hiking, archery, and just relaxing. GPS 36º39’04.08’’N 5º39’55.90’’O Camping Play Las Dunas de San Anton – located right in the city of Puerto d Santa Maria, this campsite offers sites for tents, trailers, winabegos, and bungalows. It has all the modern amenities to make your stay comfortable plus it is within walking distance to the beach. Canos de Meca - This wooded campsite located a short distance from the beaces of Costa de la Luz offers a small town charm. Camping El Pino – just west of Malaga and Nerja is Camping El Pino. Only 800 meters or half a mile from the beach. Camping el Pino has all the nescary conviences and then some. Carretera Nacional 340 km 285 Urbanizacion Torrox Park Camping La Sierrecilla – North of Malaga lies this country camping estate of Camping La Sierrecilla. This ultra modern campsite is ideally situated for those camping with a car as it is only 40 minutes from Malaga beaches and about an hour from the Granada. Avenida de Clara Campoamor. 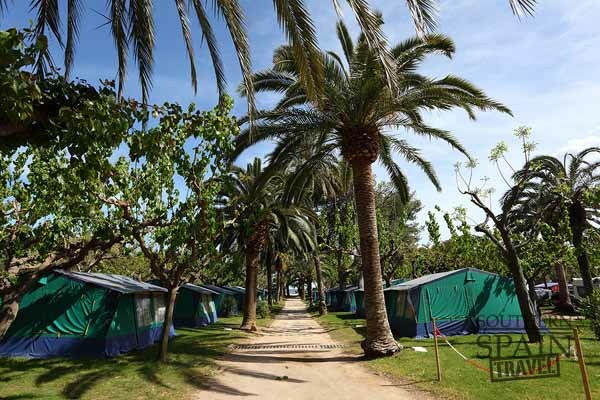 29531 Humilladero, Spain Camping Cabopino – just 10 minutes walk to the Marbella beaches this campsite is a beach lovers paradise. To make their campsite more enjoyable all year they offer an indoor and outdoor swimming pool. Camping Don Cactus – beaches are not what one thinks of when speaking of Granada but sure enough within the Granda province has some of the nicest beaches on the costa del sol. This campsite is not just on the beach it has great accommodations to along with it. Ctra. 340, km 343 18730 Carchuna, Granda Balcon de Pitres – from beaches to mountains the Granda province has it all. This campsite Is located in the Sierra Nevada Mountains. This campsite has some of the most breathtaking being almost a mile above sea level. Camp or stay in one of there comfortable bungalows. Crta. Orgiva-Ugijar Km 51 La Alpujarra, Granada Ph.958.766.111 Camping Reina Isabel – just outside the city center this campsite makes a great basecamp for touring the Alhambra and all Granada has to offer. Not up for camping in Spain now?